Will you be traveling by Plane, Train, or Automobile? If flying, the best way to get here is to fly to Amsterdam Schiphol Airport (AMS) and then take a train to Doetinchem Train Station. There are other airport/train options if you wish to shop around. Whatever you find, if you tell us your planned arrival time at the Doetinchem Train Station, we will have someone there to pick you up and take you to De Betteld. This shuttle service will be available on Tuesday (5 February), Wednesday (6 February), and Saturday afternoon (9 February). Send your full itinerary and planned arrival time to registration(AT)iccm-europe.org. Be aware that there is another train stop with a very similar name (Doetinchem De Huet) about 4 minutes earlier. Be sure to get off at Doetinchem. When you are close to arriving (within 20 minutes), please call to let us know that you are almost here: WhatsApp or SMS: [+31 6 twenty sixty twenty 47] or landline: +31 (0) 314 627 268. If you can’t call us because your phone doesn’t work in the EU, make sure you send an e-mail (registration(AT)iccm-europe.org). There is at least one hour free WiFi at Amsterdam Airport Schiphol. 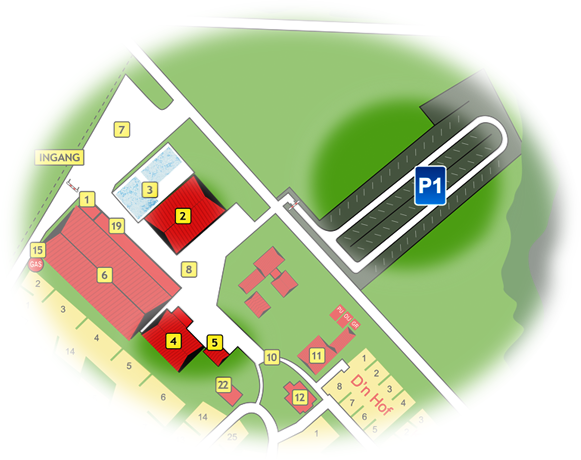 Once at the Doetinchem train station, assuming you have given us your travel schedule, we will have a car waiting (or arriving soon) near the station building. Look for the ICCM-Europe logo carried by someone or in a car window. If you get here and no one is around, wait for a little bit and then try to contact us again. You could decide to also add a second one-way ticket for your return trip to your shopping cart. Return tickets are only possible for the same day (So you can NOT use them) and are not cheaper than two single tickets. At the time of writing (January 2019) the One Way ticket price is 22,26 euro. The online ticket shop does support all major credit cards. Arrange for travel to Schiphol Amsterdam Airport (AMS) arriving on Tuesday (5 February) or Wednesday (6 February) and departing on Saturday (9 February). When buying airfare, keep in mind the train commute alone will be about 2 hours. On Wednesday, we will have a meal waiting for you at the conference center (starts 18:00). Try to land at the airport no later than 15:00 (3:00 PM) to give yourself one hour to get your checked luggage and two hours for the train. On Saturday, because the conference is over at 12:45, the earliest shuttle to the train station leaves at 13:00 (1:00 PM). If you really need an earlier shuttle to make it for a flight, make sure you check with us about the possibilities. Email your travel plans to registration(AT)iccm-europe.org so we know when to expect you at the train station. When you arrive at Schiphol airport (AMS), after retrieving any checked luggage, find your way to the Schiphol Train Station. The way there is clearly marked throughout the airport. It is located underneath the airport building. You do not even have to go outside. Buy a ticket and take the (suitcase friendly) escalators down to the right platform. You will take two trains (or three) to get to Doetinchem. Sometimes you have an extra train change at Utrecht. Maybe try to avoid this. Utrecht is a large, but well-signposted station. Take the Nijmegen train and get off at Arnhem. Platforms change, so be sure to follow the signs in the train station. 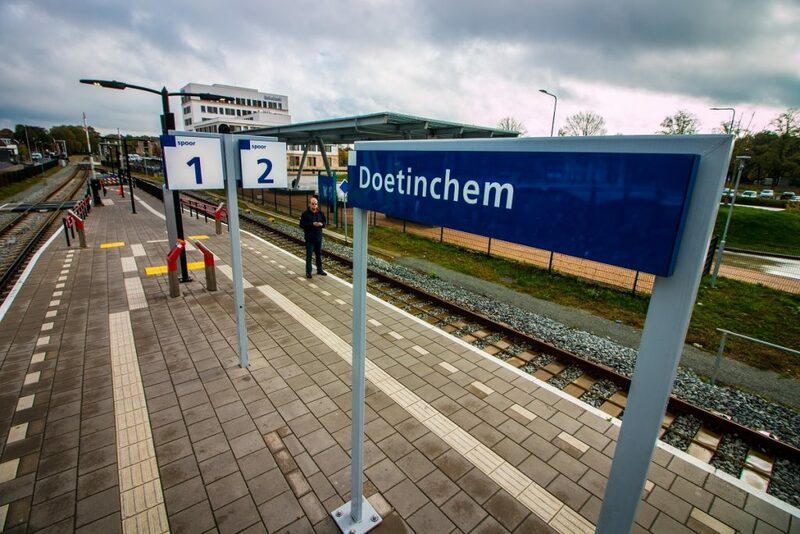 At Arnhem, take the Doetinchem train to Doetinchem. Again, platforms change, so be sure to follow the signs in the train station. If your flight was delayed or you’ve had other complications, send us an email (registration(AT)iccm-europe.org) from the airport using the one hour of free WiFi available there. When you’re about 20 to 30 minutes out from Doetinchem, let us know via WhatsApp or SMS: [+31 6 twenty sixty twenty 47] or landline: +31 (0) 314 627 268, especially if you had any changes to your schedule along the way. If you’re unable to call from your cell phone, don’t worry, we’ll be making regular trips. At Doetinchem, look for the ICCM-Europe logo carried by a person or in the windows of a vehicle. Enjoy your time at De Betteld! If you can’t find us, either call or wait a few minutes for us. Make sure you check for our car arriving. Lunch is served at 12:45 on Saturday and this concludes ICCM-Europe. Because our drivers will need to eat lunch, Shuttles will not depart until 13:00 (1:00 PM). If you really need an earlier shuttle to make it for a flight, please contact registration before the conference to check the possibilities. Make arrangements with ICCM registration to let them know when you need a ride back to the train station. You will take the same two (or three) trains to get back to the airport. Remember to get off at Arnhem and then take the train to Schiphol Airport (Amsterdam). Announcements in this train will also be in English. If you are taking the train without first taking a plane you could be coming from just about anywhere. We’re going to assume that you know your way around the European train system. 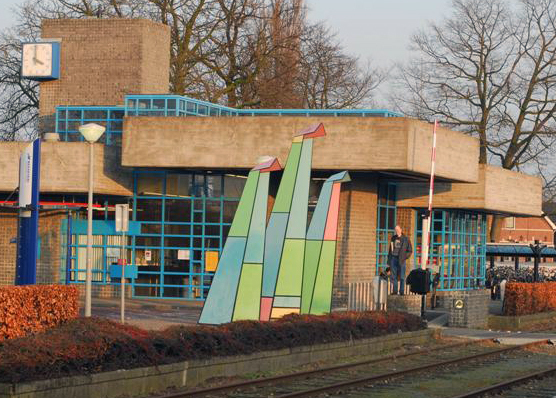 Just make sure you get to the take a train to the Doetinchem Train Station on Tuesday (5 February) or Wednesday (6 February) before 18:00. Also, don’t forget to give us your itinerary and planned arrival. If you are traveling within the Netherlands (and not training in from another country), you can purchase tickets online here. You will need a second class One Way ticket. CAUTION: Be aware that there is another train stop with a very similar name (Doetinchem-De Huet) 4 minutes earlier. When you are close to arriving (within 20 minutes), please call to let us know that you are almost here: WhatsApp or SMS: [+31 6 twenty sixty twenty 47] or landline: +31 (0) 314 627 268. If you can’t call us because your phone doesn’t work in the EU, make sure you send an e-mail (registration(AT)iccm-europe.org). There is one hour free WiFi at Amsterdam Airport Schiphol. Once at the Doetinchem train station, assuming you have given us your travel schedule, we will have a car waiting (or arriving soon) near the station. Look for the ICCM-Europe logo carried by someone or in a car window. If you get here and no one is around, wait for a little bit. A car will arrive soon. If it takes longer than you expect try to app or call us. When driving to De Betteld, we recommend you use a GPS device. Entering the address and following its instructions should get you here effectively. When you get here, please park in P1. landline: +31 (0) 314 627 268. Return trip: If you have space left in your car on Saturday, please let us know. We might ask you to take some people to the nearest station on your way back home. P1: If driving, please park in Parking 1. 4: Our main meeting room, the Ajax room, will be in Building 4. 2: ICCM Reception and most of our living quarters and all of our meals will be in Building 2. 5: The Basic Room will be in Building 5. 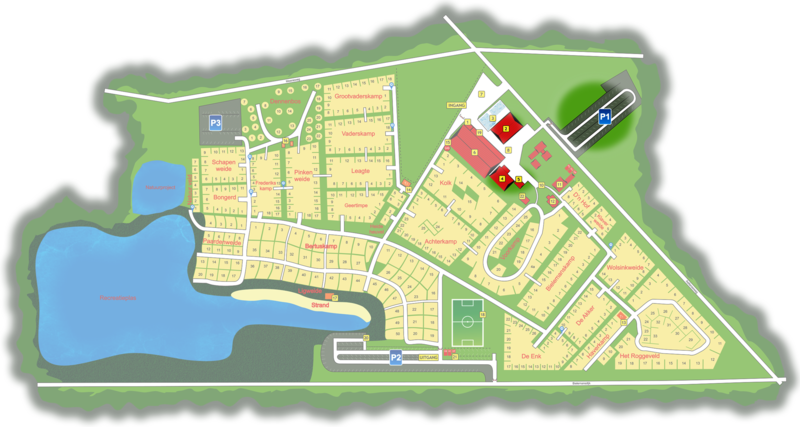 Click for a map of the entire grounds at De Betteld. Note: To use some credit cards here, you may need a 4-digit pin. This has caused people trouble in the past. Go online or call customer service for your card provider and ask for a pin.